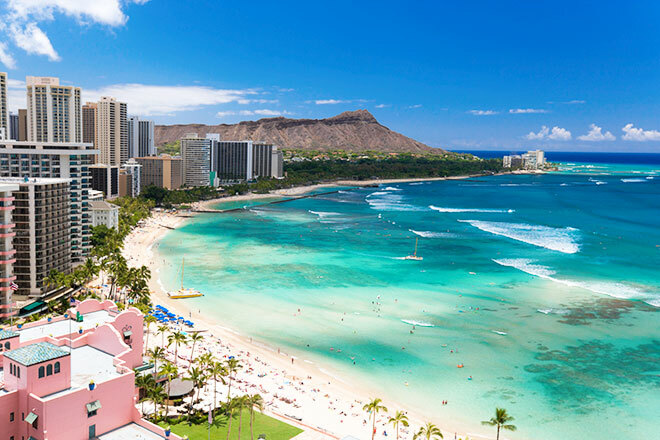 Known as “The Gathering Place,” Oahu is home to the largest population of people as well as the best nightlife in Hawaii. The Honolulu craft beer and food scene here is dynamic and always changing. For a taste of the local culture, check out the neighborhoods of Kakaako, Kaimuki, Kapahulu and Chinatown. Waikiki and Ala Moana Center are world-class shopping destinations, while boutiques in beach towns like Kailua captivate with their own charms. The surfing mecca of the world is Oahu’s North Shore, and surfers flock there every winter to witness the best the world has to offer. History buffs will find their bliss among Honolulu’s cultural gems such as Pearl Harbor and Iolani Palace.